Jack White’s vinyl pressing plant launches with Derrick May and Carl Craig releases. Home » Jack White’s vinyl pressing plant launches with Derrick May and Carl Craig releases. 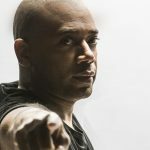 Third Man Records’ pressing plant opened over the weekend (25th February) with an opening party selling releases by Derrick May and Carl Craig. The new operation was founded by Jack White (of The White Stripes) and is the first new vinyl pressing plant in Detroit since Archer Record Pressing opened in 1965. The 10,000 square-foot Third Man Records factory will be taking outside orders, is able to press up to 15,000 records a day and has 16 full-time members of staff recruited from the Detroit scene.